Choosing a self storage facility is one part finding the right unit and one part finding a facility with all of the features you need to ensure that your self storage experience is a positive one. At StorQuest Self Storage in Waipahu, we like to think that we are equal parts both. Not only do we offer a wide variety of different sized storage units for you to choose from, but we also offer a number of desirable features. Security at StorQuest Self Storage is top-notch. Our storage facility is well-lit and monitored 24 hours a day by security cameras, inside and out. Gated key-code entry is also required for access. Our indoor units are subject to the same operating hours as our office – 9:00am to 6:00pm, Monday through Saturday, and 9:00am to 5:00pm on Sundays. We also sell locks, as well as packing and moving supplies. At StorQuest Self Storage, we are proud to provide Waipahu residents with storage that is both clean and affordable. We offer month-to-month lease terms, with discounts available to qualified individuals. Another convenient feature of renting a storage unit from our facility is online bill pay. We accept major credits cards as a form of payment. 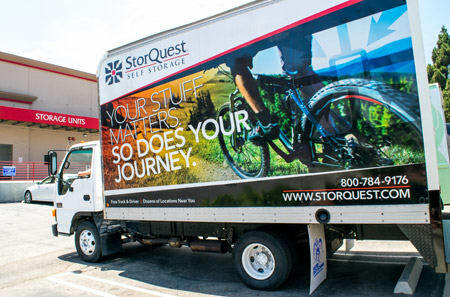 For our business customers, StorQuest Self Storage gladly accepts your commercial deliveries. If you would like more information on the features we offer, contact our office staff today or visit our facility to see for yourself what sets us apart from other Waipahu self storage companies. We are located at 94-299 Farrington Hwy, minutes from the Waipahu Plaza Shopping Center.